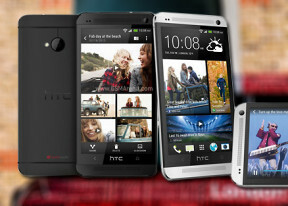 The HTC One boots Android 4.1.2 Jelly Bean out of the box. Google’s mobile OS has been given a brand new HTC Sense 5 UI, which brings a host of improvements over its predecessors, while still remaining familiar and easy to get a hang of. Here’s a quick look at the smartphone in action. The most prominent changes which HTC Sense brings to the table are Blinkfeed and Zoe. Blinkfeed feeds relevant news and social network updates to the user directly on the device’s homescreen. Zoe on the other hand, utilizes the camera to take short clips, which it automatically combines into entire stories. Check out Blinkfeed and Zoe and action below. Overall, after spending some time playing around with the HTC One, we found the latest Sense 5 quite likeable. The UI will likely appeal to both long-time HTC users and new adopters alike. We are also looking forward to digging deeper into the new HTC Sense.